CyclingPub.com - Tour de France - Tom Dumoulin: It's amazing. Really, one second! Tour de France - Tom Dumoulin: It's amazing. Really, one second! 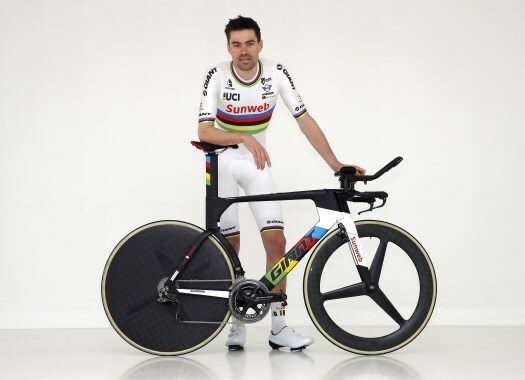 Tom Dumoulin could not be happier after winning the Individual Time Trial of the 2018 Tour de France, beating Chris Froome by one second. The Dutchman of Sunweb was two seconds slower than Froome at the two intermediate points, and initially seemed to be slower at the finish as well until the final time indicated that he actually beat the Briton by one second. Moments later, Thomas crossed the line 14 seconds slower than Dumoulin, as such confirming a hard-fought stage win for the 'Maastricht Butterfly'. "It's crazy!," Dumoulin exclaimed moments after taking the win. "I didn't know anything about split times. I never know. I still thought Froome was one second ahead of me when I crossed the line here and everybody said I was second by one second. But it's crazy, wow. "It was an amazing last day. I was so nervous and this morning we found out that we lost the skinsuit. So Etxeondo, our clothing sponsor from the Spanish Basque Country made a new one. They were sewing a new one this morning and I'm wearing it now. I'm forever thankful. Otherwise I would not have finished in this beautiful World Championships' jersey." With this time trial win, Dumoulin makes a rigorous end to the negative feeling he experienced following Friday's stage. "It's crazy, really. I had such a hard time yesterday and I think all the frustration came out a little bit after the finish. But today, I can't believe this. It's amazing. Really, one second!"